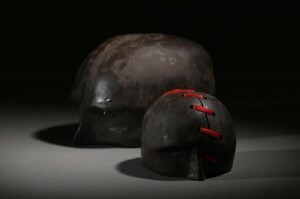 PREVIEW: An exhibition of contemporary sculpture and mixed media by Patrick Colhoun. 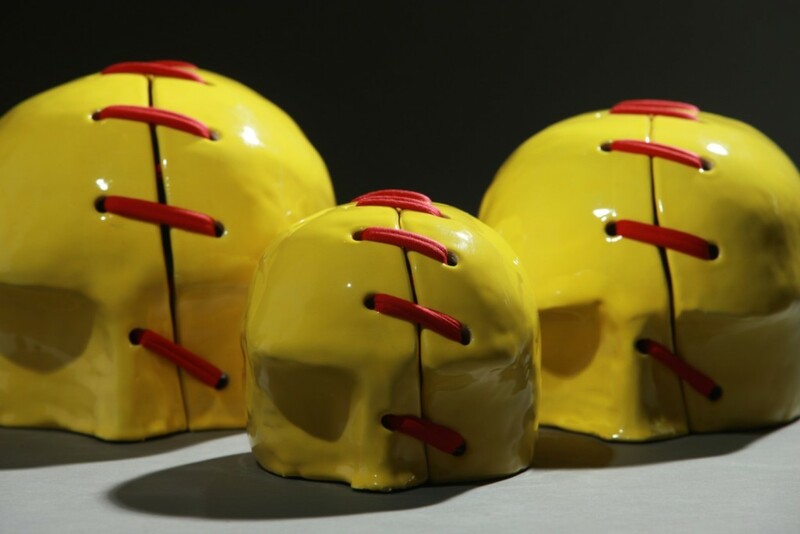 Patrick Colhoun uses ceramic as the basis of his sculptures, however he combines it with materials not usually associated with the medium such as hosiery, neon, piercings, latex and shotgun cartridge pellets. 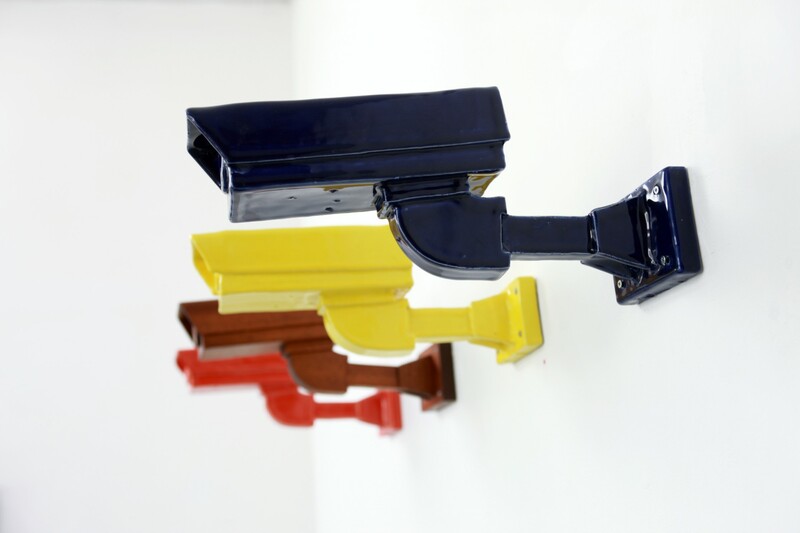 ‘Solitary’ (London) is the final part of Patrick Colhoun’s series of three solo exhibitions that the artist is undertaking in 2015 and follows on from the first and second instalments of the exhibition in Belfast and Dublin respectively earlier this year. To date the artist’s work has been largely about memory. Much of his early work centered around dark subjects such as death, decay, containment and aggression with a desire to make un-savoury subjects into attractive physical forms. Life events narrowed the focus of the artist’s work somewhat. Truncated heads and torsos were conceived from a realisation during a personal grieving process of a frequent inability of the male to communicate feelings and express emotion. The dark nature of the work became almost an outlet for a grieving process and a conduit for it to work through. ‘Solitary’ marks a point in the artist’s career where he has drawn a line under the past. Whilst the work is still heavily influenced by memory, the artist looks back mostly fondly. 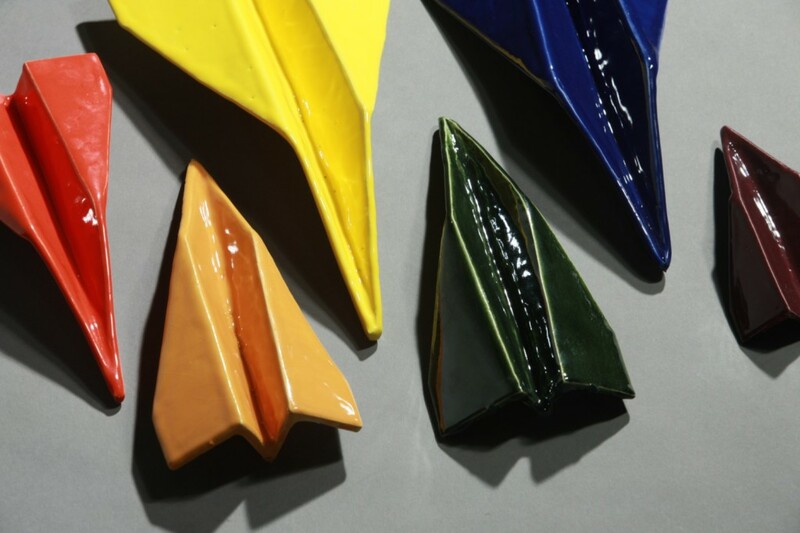 There is still a hint of darkness, however the introduction of striking colour to familiar forms changes the mood and the dynamic of the work making it more playful. Patrick Colhoun was born in Belfast in 1968. Largely self-taught, he has exhibited widely throughout Northern Ireland, Southern Ireland, London, Europe and USA and his work is held in a number of private collections in various countries. This entry was posted in EXHIBITIONS, NEWS and tagged Ben Oakley Gallery, Patrick Colhoun. Bookmark the permalink. ‘WASTE(D)’ A photographic exhibition of discarded drug baggies.